Ahead of Nuzul Quran's Eve or the commemoration of the revelation of the Holy Quran, the supervision against entertainment venues that spread in the capital will be conducted. According to circular letter about tour business, during Ramadan, all entertainment venues should be closed at Nuzul Quran.
" 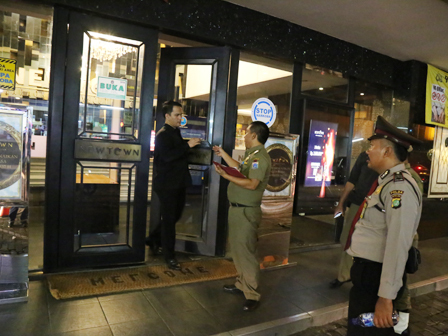 We send 144 officers to supervise entertainment venues"
"We send 144 officers to supervise entertainment venues," expressed Saigar Palmatua Gultom, Section Head of Business Place Supervision and Control for Jakarta Satpol PP, Tuesday (6/21). Supervision is done in five cities. Formerly, all business places had received circular letter not to operate during Nuzul Quran's Eve. "All activities will be centered in Sari Park, Palem Park and so on, thus it can minimize rule breaker," he disclosed. According to him, the officer will warn entertainment venues that are still opened. Sealing will also be given if they still operate. "We send our personnel as anticipation of social insecurity," he finished.